In Q1 2019, Georgia exported 19.4 million bottles (0.75l) of natural grape wine, a 10% increase year-on-year, according to the country’s National Wine Agency. Revenue from wine exports (to a total of 37 countries) grew 16% to $47 million. According to the National Wine Agency, Russia accounted for the greatest share, with deliveries growing 15.4% to 13.279 million bottles (68.4% of total exports). Other major importers were Ukraine (1.419 million bottles, or 7.3% of total exports), China (1.373 million, 7.1%), Poland (1.032 million, 5.3%), and Kazakhstan (560,460, 2.9%). There were also increases in exports to the U.S., Belarus and other European countries, and Asian countries. A total of 148 Georgian companies exported wine, compared with 134 a year before. The most popular wines for export were the semi-sweet red Kindzmarauli (3.7 million bottles), the dry red Mukuzani (1.2 million), the dry white Tsinandali (890,458), and the semi-sweet reds Akhasheni (422,220) and Khvanchkara (226,072). 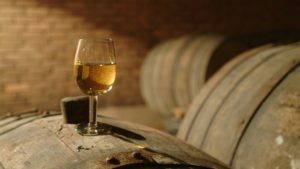 Georgia also exported 6 million bottles (0.5l) of brandy to 14 countries for $12.4 million, a 1.7-fold increase; 118,000 bottles of chacha (2.7-fold growth), and cognac and winemaking materials. Total revenue from sales was $67.7 million (up 4.5%). In 2018, Georgia increased its exports of wine 13% to 86.2 million bottles, a 30-year record. It delivered wine to 53 countries, and revenue from sales increased 20% to $203 million. 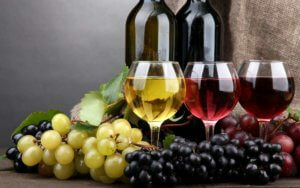 Total revenue from sales of wine products abroad grew 7% to $306.5 million. Georgia exported 38.2 million bottles of wine from grapes (0.75-liter bottles) in January-June 2018, 21% more than in 2017, the Agriculture Ministry’s National Wine Agency reported. Russia was the leading importer of Georgian wine in the period, boosting imports 24.4% to 24.022 million bottles or 62.9% of the total. Other major importers included Ukraine – 4.191 million bottles (11% of the total), China – 2.976 million (7.8%), Kazakhstan – 1.652 million (4.3%) and Poland 1.164 million (4.1%). A total of 190 Georgian companies exported wine in the six months, 18 more than a year earlier. Exports to countries in Europe and Asia, and to the U.S. and other countries, increased substantially. Georgia also exported 8.4 million bottles of brandy (0.5-liter bottles), 23% more than in H1 2017, to 20 countries. Revenue rose 6% to $17 million. Overall exports of wine, brandy and other products – chacha, other alcoholic beverages, wine materials and brandy spirits – were worth $148.3 million, 21.5% more. Georgia exported wine to 48 countries in H1 2018, up from 44 in the same period last year. Revenue from the exports rose 28% to $90 million.